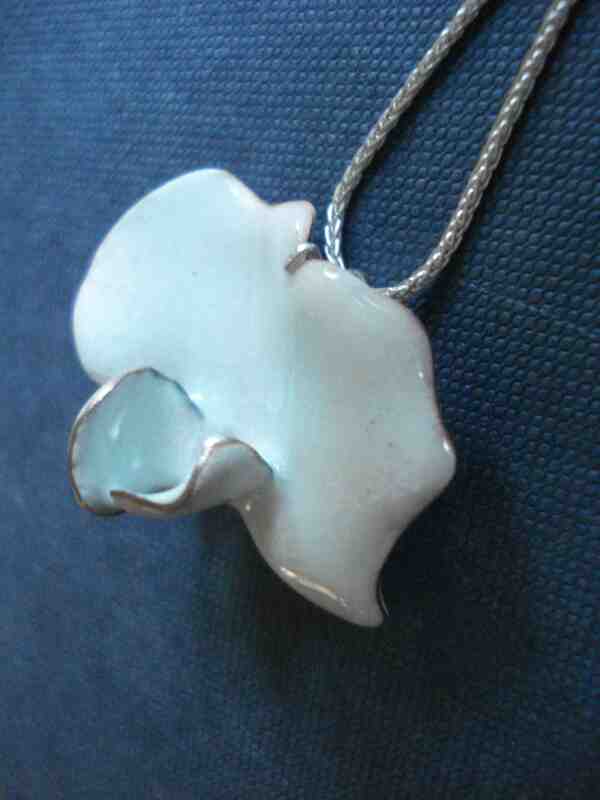 I realized recently that I had inadvertently cleansed my website of all the less-than perfect photos from earlier in my jewelry-making career (by which I mean a few years ago.) While contributing to a slick look, omitting these photos is really a shame because it means a lot of people probably have never seen some really weird and lovely stuff I made in the past; the “Sensitive Parasite,” and “Mendel’s Garden” collections, and some interesting enameled mobile pieces… So I’m going to gradually, teasingly release these photos to you in tassel-spinning blog posts. 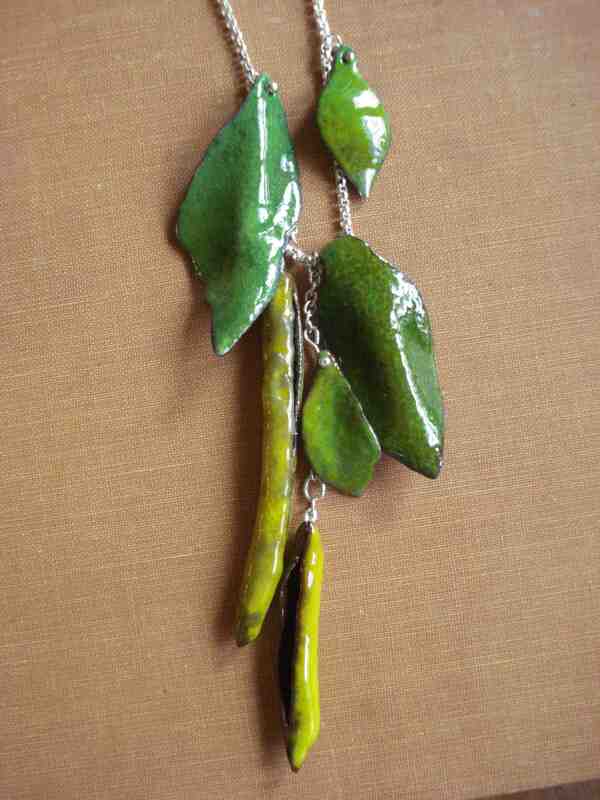 This first batch from the one of a kind vault are from “Mendel’s Garden;” a series of copper and silver enameled peas and pea flowers. 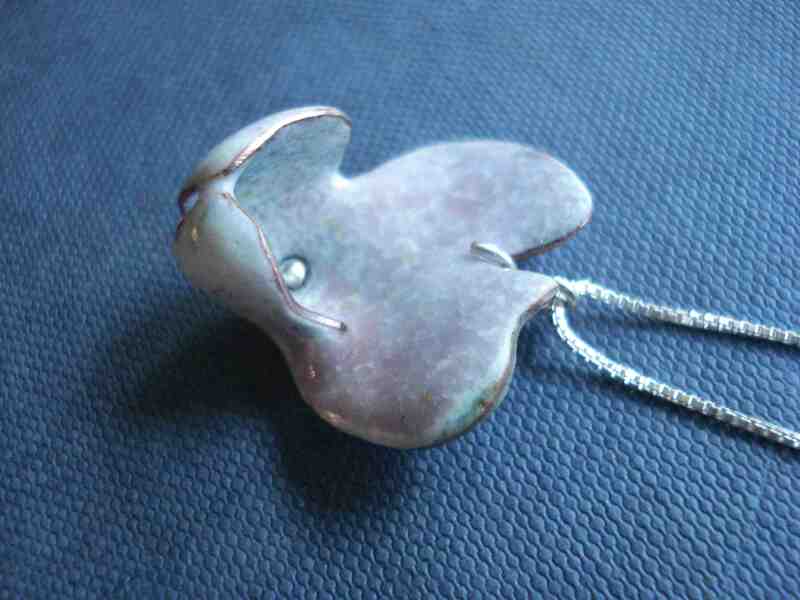 I fabricated the peas, leaves and pea flowers in copper, mainly through repousse. 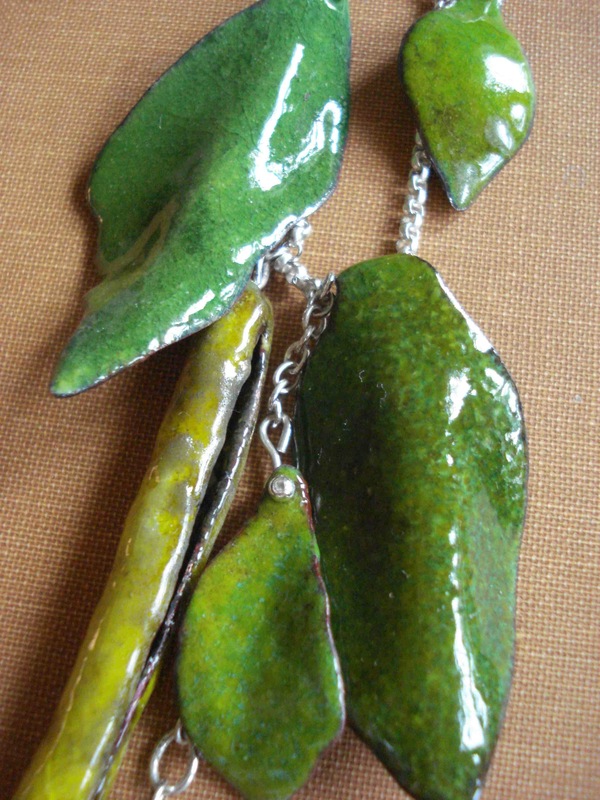 This was one of my first enamel projects, although I am hoping to get back to using that technique once I am fully moved into my new studio in WI next month.